The increased consumption of fresh tomatoes is primarily due to their health benefits as well as their unique organoleptic attributes. Tomatoes are abundant in lycopene compounds (carotene antioxidants). The ability of lycopene compounds to exert antioxidant activity in vivo highly relies on their bio-availability. Research found significant association between greater ingestion of lycopene and lower incidence of some chronic diseases including heart disease and certain types of cancer. The antioxidant properties and organoleptic quality of the harvested tomatoes are substantially dependent on processing methods. Application of adequate techniques during handling and processing considerably contributes to optimising the antioxidant capacity, maintaining the nutritional value and preserving organoleptic quality of the final product. Many studies have focused on the investigation of efficacy of various manufacturing methods in promoting the quality profile of tomatoes. The concentration of endogenous antioxidants is liable to decrease during various processing steps. Depending on the final product, the processing methods may be based on simple or more complicated operations. For instance, manufacturing fresh tomatoes involves simple steps such as washing, sorting, packaging and delivery. In contrast, more extensive operations are implemented through manufacturing tomato paste which requires numerous heat treatments including drying, evaporating and pasteurising. Heat treatments can act as inhibitors against oxidative enzymes. The inhibition of enzymes favourably develops antioxidant potential of the processed fruits in exhibiting protective effects against oxidation. However, improper/excessive use of heat treatments can have detrimental effects on the quality of the final product; i.e., sensory attributes, nutritional value, functional properties and health benefits of treated tomatoes are likely to be degraded. The ability of efficient methods in minimising or even improving the quality of tomatoes has been reviewed in many studies. Research demonstrated that steaming as a thermal processing helps enhancing antioxidant activity and stability of the fruit. This is primarily attributed to the capability of steaming in rupturing the cell wall of the fruit which promotes the release of tightly bound lycopenes and therefore, making them more bio-accessible to exhibit physiological activity after ingestion. Furthermore, air-drying has been reported to increase the liberation of bound polyphenolic compounds and improve antioxidant activity of the dried fruit. The effect of various thermal processing is variable on individual antioxidant components. For example, canned tomatoes contain insignificant amount of flavonols while tomato juice and tomato puree are abundant in flavonol compounds. This is mainly attributable to the increment of free quercetin proportion which stems from the enzymatic hydrolysis of quercetin conjugates. 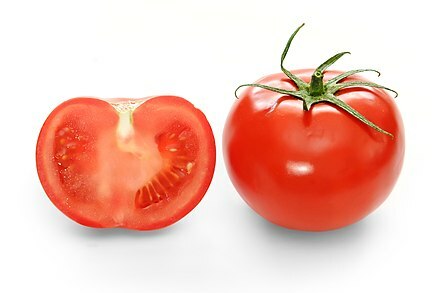 The investigation of processing effect on antioxidant profile of tomatoes is more worthwhile when the increased/decreased concentration of individual antioxidant constituent is taken into account.